Start your day the right way. The Royal Sea Aquarium Resort offers you the opportunity to have breakfast with the spectacular view of the Caribbean sea. Nothing more convenient than just a few steps from your room, the breakfast is served by the pool area and has a la carte delicious options for the whole family. 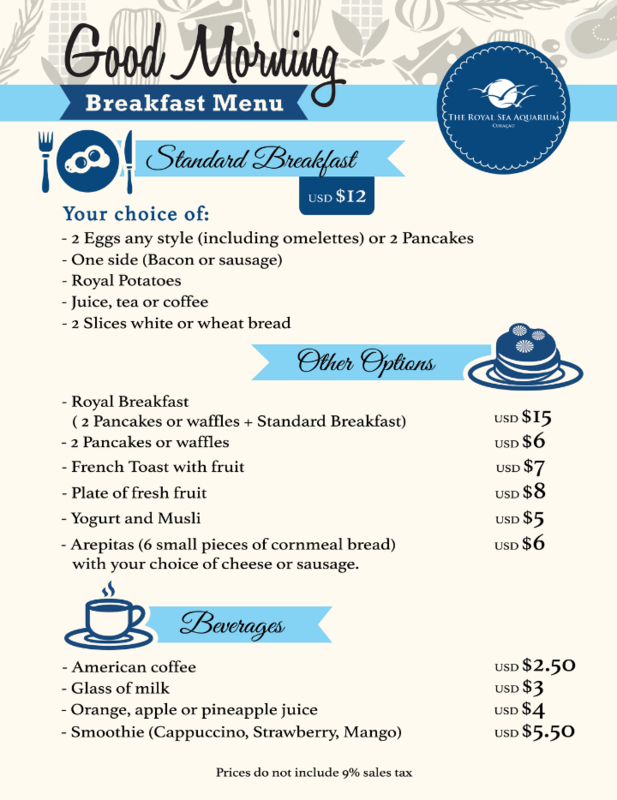 Relax, and enjoy your breakfast at The Breakfast Bar in The Royal Sea Aquarium Resort from 7:30 a.m. to 11:30 a.m.